2018 will see the alien Thanos wage a war over Infinity Stones and a dinosaur rescue operation, but that’s not the end of the strange sci-fi action. We’ll also be reintroduced to one of the most iconic movie monsters of all time — the Predator. The alien hunter made his debut on the big screen in 1987’s classic Predator. 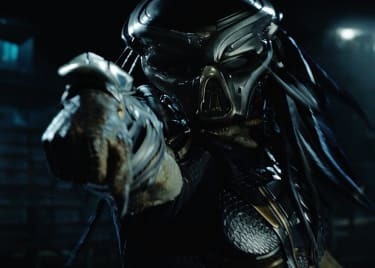 Now, after nearly a decade away from the screen, the hunting species (known as the Yautja, for those who like details) will return to Earth in Shane Black’s The Predator. It hits theaters this September. 20th Century Fox has done a great job of keeping The Predator‘s major plot details under wraps. Having said that, we do know that it will differ greatly from anything the three films in the series (and two Alien vs Predator movies) have done before. The film will focus on the relationship between a father and his son, and in one of the biggest differences from previous films, will primarily take place in a suburban setting. Think ET, with teeth. The man tracking the unearthly hunter across well-kept lawns and back yards with pools will be Quinn McKenna, played by Boyd Holbrook. He’s a former Marine and Special Forces commando, but as McKenna discovers the existence of the aliens nobody believes him. That just means he’ll have to recruit his own team to hunt the Predators down. An imposing team of soldiers will back up McKenna in his fight against the Predator. Most are former Marines, but there are a few other skilled additions, too. Trevante Rhodes is Nebraska Williams, Quinn’s best friend and a former Marine in his own right. 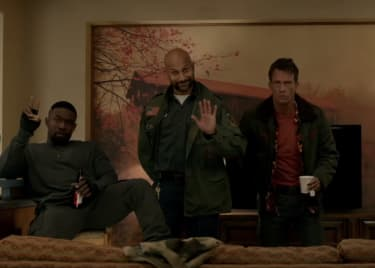 Sterling K. Brown is a government agent who once jailed McKenna. With the arrival of the Predators, he now comes back to McKenna for help. Olivia Munn will also be part of Quinn’s team, as scientist Casey Bracket. Keegan-Michael Key’s character joins the team, but we don’t yet know his character’s name or specialty. Alfie Allen is also a former Marine who will join the fight against the Predators. Thomas Jane will portray a military veteran that suffers from PTSD. Predator movies evoke images of you think of jungles and cities roamed by muscle-bound, heavily-armed men. Kids aren’t in the picture; they’re not the most likely characters for a film like this. But thanks to Shane Black, who regularly features young characters in his films (see Iron Man 3 and The Nice Guys), The Predator is doing things a little bit differently. One of the film’s most integral characters will be Rory McKenna, played by Jacob Tremblay. He’s Quinn’s son, and a troubled young guy who suffers from autism and is bullied in school. Yet his uncanny ability to learn languages makes him invaluable in the fight against the aliens. We wonder: will Rory figure out how the Yautja communicate? No one else has extensively translated the symbols used by the aggressive race; maybe he’ll be the first. 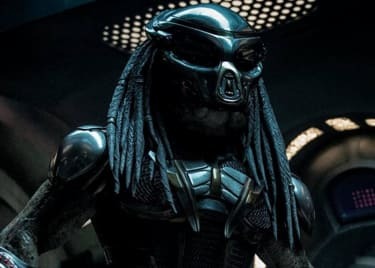 While The Predator will mainly serve as a reboot to the franchise, it is also a direct sequel to the original 1987 film. But that isn’t the only relationship that it will have with previous entries. Although it was initially thought that the film wouldn’t directly reference any prior entries in the franchise, we now know that this isn’t the case. One of the film’s main characters will be the son of Predator 2‘s Peter Keyes. Gary Busey played that character, a special agent obsessed with tracking down the Predator. As that didn’t work out too well for him, we have to wonder what kind of role his son will play in the upcoming movie. Appropriately, Keyes Jr. will be portrayed by Jake Busey — Gary Busey’s real life son. The only constant in all of the Predator movies has been the Yautja hunter itself. Previous outings have taught us that the creatures like to hunt for sport. Because of this, they refuse to harm anyone that isn’t armed. Moreover, they make exceptions, refusing to hurt pregnant and ill people. Aside from this character trait, however, we don’t know much about the actual species. The Predator will give us a fresh look at the creature. This time, the alien won’t just serve as the hunter in the film — we’ll actually get to find out more about the Yautja, including why the species came to Earth and what their ultimate goal is. None of this would be possible without Shane Black. Fans of the franchise will know that he played the character Hawkins in the original Predator. More than that, he’s an accomplished screenwriter, creating the likes of Lethal Weapon, The Long Kiss Goodnight and Last Action Hero. He directed and wrote the aforementioned Iron Man 3 and The Nice Guys, along with Kiss Kiss Bang Bang, which helped restart Robert Downey Jr.’s career prior to Iron Man. 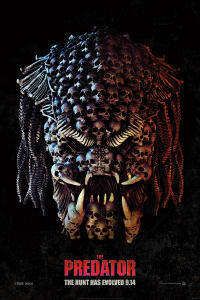 Black’s past and present came together when he was recruited to direct and co-write the script for a Predator reboot. Flash forward three years, and The Predator is almost upon us. Black has promised that the film will be more of an “event film” than some of the previous entries. Given his impressive list of credits, and his history with the franchise, there’s no doubt he’s the right man for the job.